Reading this quote reminded me of a recent interaction during my work with emerging teacher leaders in my district. We were reading about three different types of reluctant teachers to help us plan and practice engaging in effective, thought provoking conversations, collaborations and communications. In doing so, several members including myself realized that there are times when we slip into the roles that we were reading about. As leaders we sometimes slip. It happens. How can we as leaders reflect on our leadership to think about our actions? Do our actions inspire? Do our actions provide opportunities to mentor and collaborate with emerging leaders? Do our actions inspire those who we work with to dream more, learn more, do more and become more? As we enter a new season, might we "spring clean" our leadership. Create a focus of where we as leaders want to grow professionally? Don't miss the caucus! Tuesday, April 2nd from 3:30 to 4:14 in room Pacific 26. Alaska: (Samantha Wuttig, ) We are excited that Jennifer Bay-Williams and Jo Boaler have been working with Alaska in different capacities. Jennifer Bay-Williams offered a 4 part webinar series on math fluency through our Alaska Staff Development Network. This series received rave reviews. The webinar series is being repeated this spring. Jo Boaler will be working with at least 3 Alaska districts to implement and research the impact of summer math camps. Both Jo and Jennifer presented at the Alaska Staff Development Network's Rti/Effective Instruction Conference in Anchorage at the end of January. We are hoping to capitalize on this energy around math to recruit more members into Alaska Council of Teachers of Mathematics and NCSM. 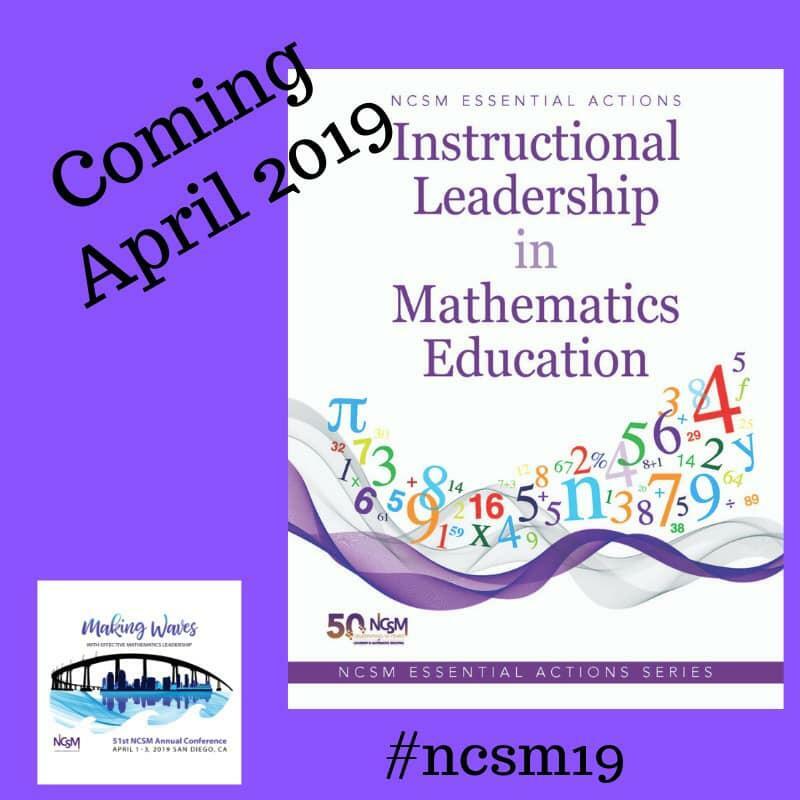 The Nevada Mathematics Education Leadership Council (N-MELC) in conjunction with the Northern Nevada Mathematics Council is hosting a leadership event during the NNMC's conference, "March Mathness: Making Mathematicians" (March 23, 2019, Reno). In addition, N-MELC is co-sponsoring a mathematics education event "Mathematical Mindset". Any K-12 teacher or administrator in the State of Nevada may enroll and will receive access to Dr. Jo Boaler's course "How to Learn Math for Teachers" and at the successful conclusion of the course will receive Dr. Boaler's book, Mathematical Mindsets and two (2) State of Nevada in-service credits. Mark your calendars! Utah is preparing to host an NCSM Fall Leadership Seminar in Salt Lake City, mid-October. 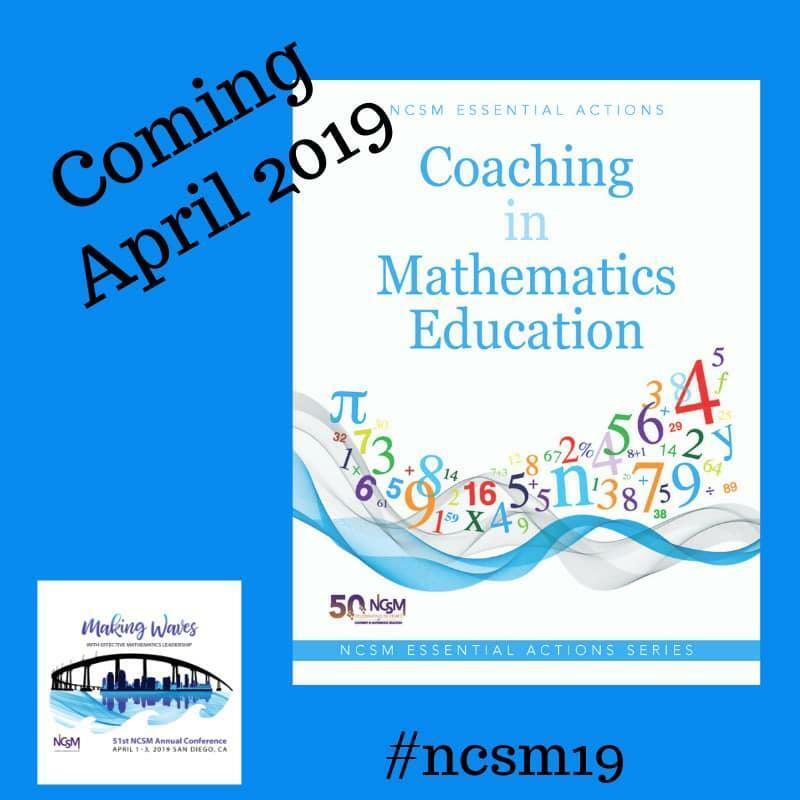 Look for more information in upcoming NCSM communications. Become involved! Currently we are looking for energized leaders in New Mexico and Wyoming to join our RTL team. If interested, please contact Denise Trakas ().